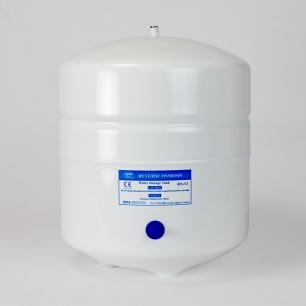 This size tank is called 4 or 3.2 gallon by most manufacturers. In our tests, it holds about 2.5 gallons. See explanation here. This tank comes with an optional stand and it can be side mounted if desired. It stands on its bottom fine—in fact, it's more stable without the stand.